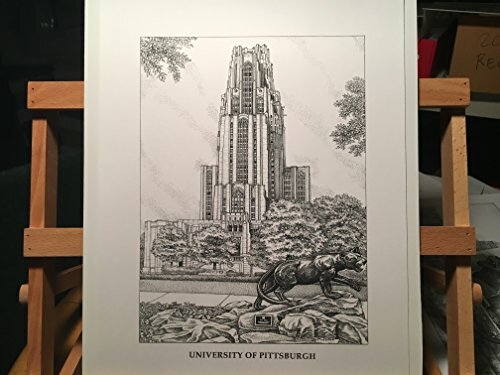 Limited edition, signed/numbered pen and ink print from a hand-drawn original of the Cathedral of Learning, on the campus of the University of Pittsburgh in Pittsburgh, PA. This 42 story "collegiate gothic" style tower has been on my bucket list for a while now of campus buildings I've wanted to draw. Your purchase includes the print (signed/numbered out of 250), foam-core backing, and about-the-artist flyer within an acid-free packaging.